What do you want to be when you grow up? Can't decide? 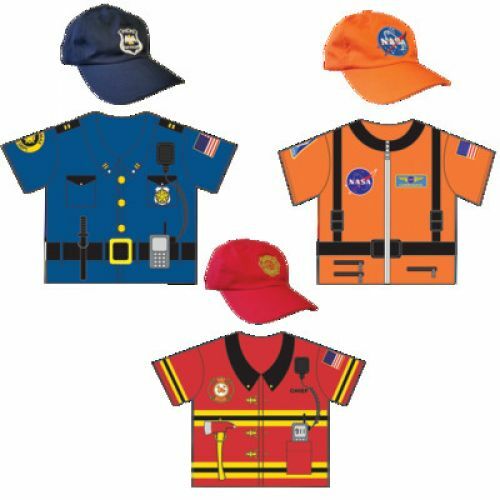 Try any one of these three shirts on for size with matching hats. Printed with all the things you'll need to complete the job. 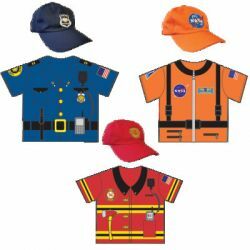 Includes Police Officer, Astronaut and Firefighter.